An hour of rest was all that we needed after a jeep ride around the nearby village of Sekhala and soon we found ourselves up and running, ready to visit the Desert Camp as planned in our itinerary. 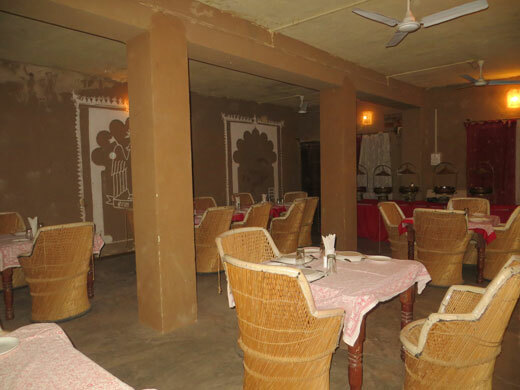 The thought of spending an entire evening in the midst of the desert in a luxurious camp made me excited. 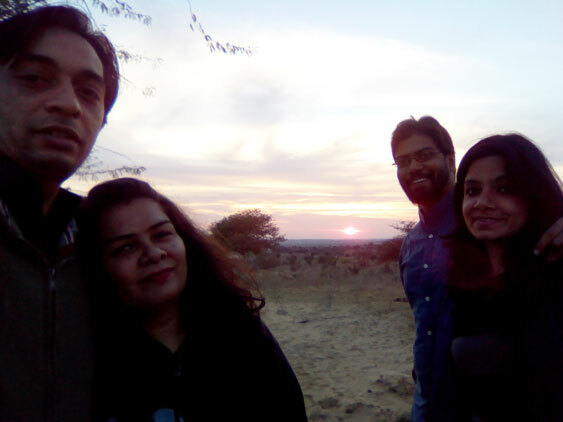 I wondered I would be having so many stories to tell of my trip to Jodhpur once I am back in Delhi! 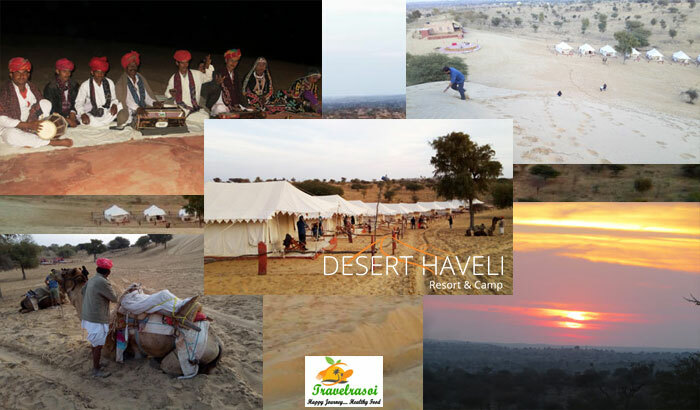 The Desert camp is located around 5-6 kms away from the Desert Haveli Resort & Camp and it took us close to 15-20 mins to reach there. Evening was already setting in by the time we started for the camp, and by the time we reached there, we got to experience the beautiful sunset beside the camps. Rounak, who manages the property, rode us there. He told us during the ride that the camps remain open from October till March, as it becomes extremely difficult after that to entertain guests given the inhospitable climate. While citing an incident, Rounak told us that a severe sandstorm that came once blew away three of their tents and so keeping guests at the camps during these times becomes very risky. 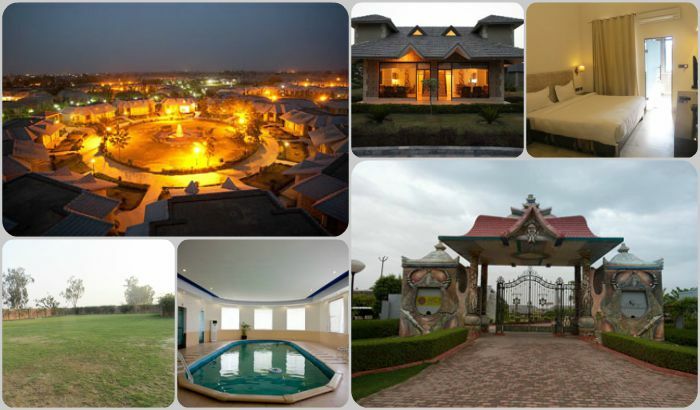 The Resort however remains open the entire year. 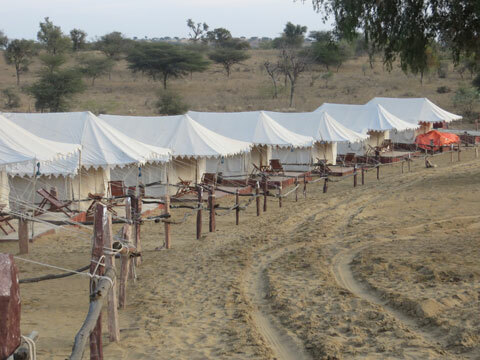 There are altogether 15 luxury tents that started around 2009-2010. All the camps have a king sized bed, two chairs and a table, an attached washroom with all the facilities needed and a private porch. 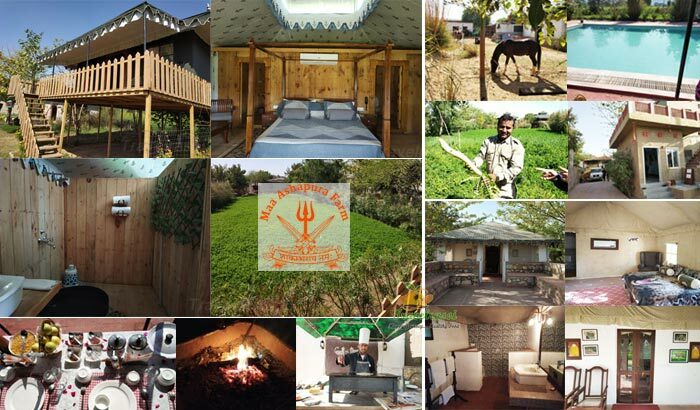 Each of the camps can accommodate 2-3 adults and 2 kids. 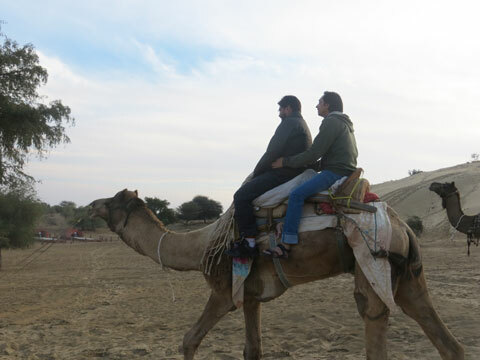 On reaching the camp, a few of us took the camel ride that the camp organizes for its guests during the evening. Mounting and demounting the camel brought out all kind of shrieks of me, but it was still a thrilling experience. 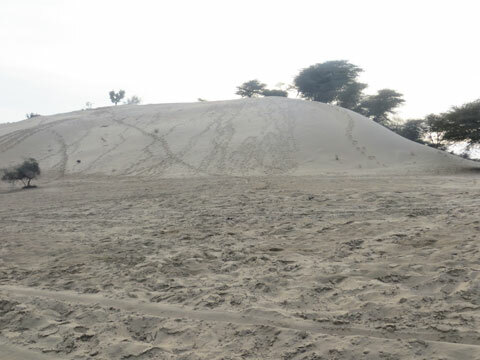 We also could not stop ourselves from climbing the huge sand dune that is situated just opposite to the camps. We took turns to climb up the steep dune, climbing which was very exhausting and when we finally reached the top, we were all gasping for breath. 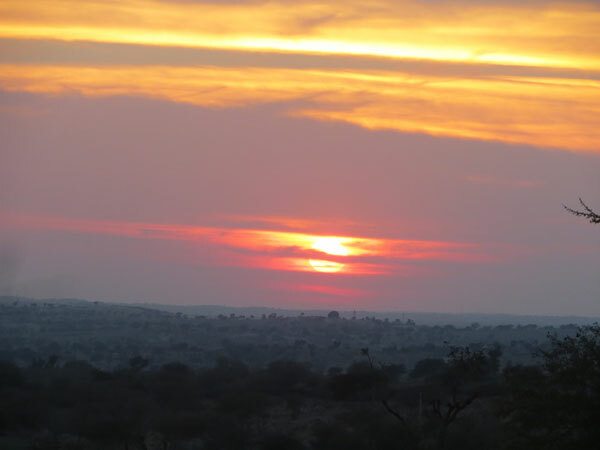 But the beautiful prize that awaited us indeed proved worthy of going all the way to the top – the breathtaking view of the sun going deep down the horizon, throwing purple and orange hues around. After coming down all weary and tired, we settled down for a cup of tea and pakodas. There is also a restaurant at the site, just at the entrance to the camps, where food is served to the guests. 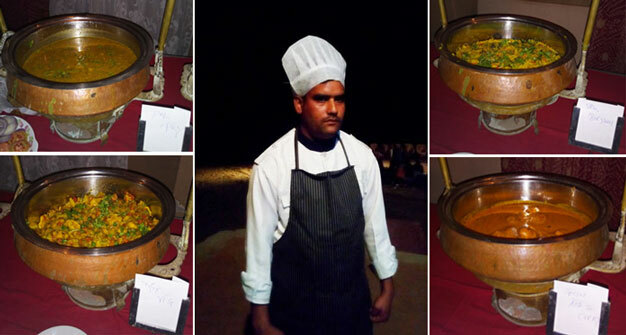 Food is however prepared at the resort and brought to the camp for the guests. It was slowly getting dark and the camps were all lit with lantern shaped lights. More and more guests started coming in for the night. On the dance floor in the middle of the camps, preparation was going on for entertaining the guests with a cultural show of dance and music. 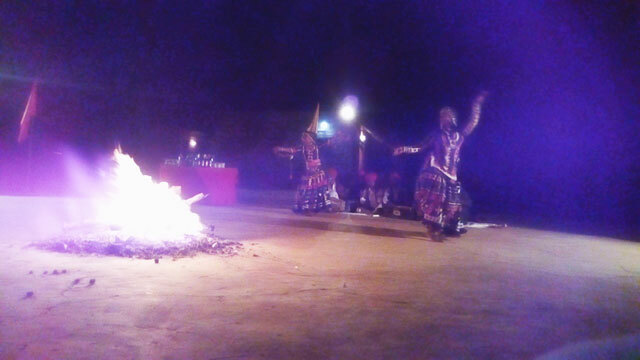 A big camp fire was lit and around it chairs were placed for guests to sit and enjoy the cultural evening. 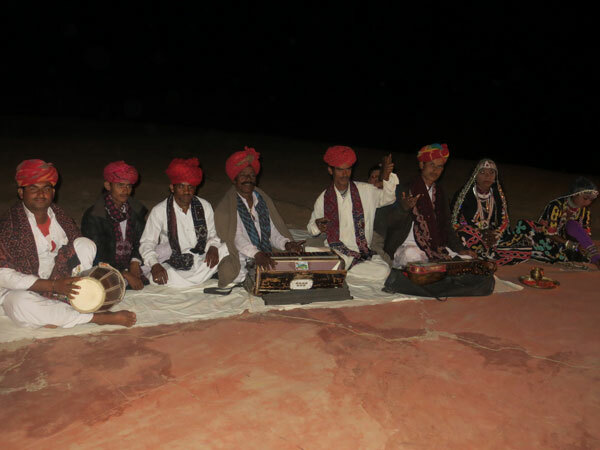 Soon the program started with folk musicians enthralling the guests with popular Rajasthani folk songs and kalbelia dancers dancing to the tunes of the music and showing their skilful moves. As the evening went on, drinks, soup and starters started coming in for refreshments. It was slowly getting colder since it was the month of January. We planned to go back to the resort for the night as we could not have spent the night at the camp with kids. A buffet dinner was laid out inside the restaurant for the guests. From Rajasthan’s very famous Laal Maas to urad ki daal, paneer pasanda and bajre ki roti, the dinner was simple but a splendid one. For dessert we were served sooji ka halwa. Impressed with the food we called for the chef who prepared the food. When asked about the unique taste that we have experienced in his food, Devender Singh told us that he prepares all the spices himself and does not believe in getting the spices sold in the market. It was soon time for us to bid goodbye to that place. It was a fun-filled evening and every one of us enjoyed it to our heart’s content. 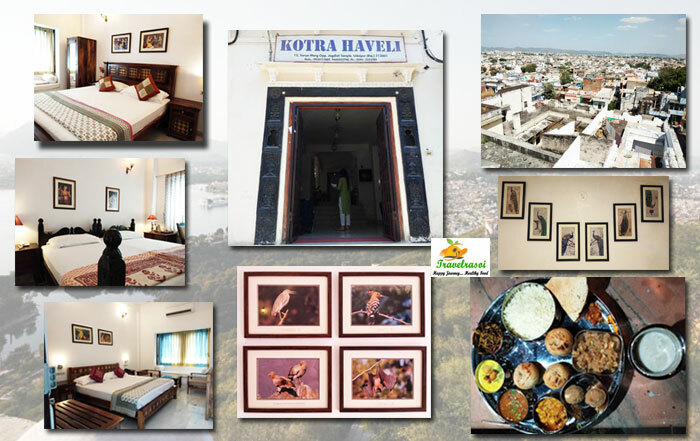 The thought that the trip that we had all planned for so long was slowly coming to an end made us all sad, but we were at the same time delighted at realizing the fact that we had an experience of a lifetime by spending 2 wonderful nights at the resort. We reminded ourselves that all good things indeed come to an end. 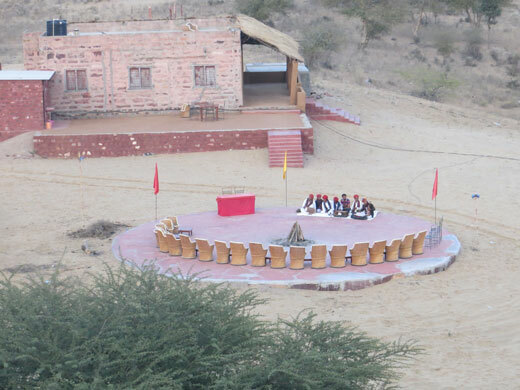 Share the post "Nature and Tradition get closer at the Desert Camp"